Shareholders of Garmin Ltd. (GRMN) the maker of navigation devices and global positioning systems will be asked to vote in favour of the board of directors’ unanimous decision to move the company from the Cayman Islands to Switzerland at the next meeting. The company announced that it had decided to change its place of incorporation because of the company’s growing interests in Europe. The redomestication will also be subject to approval of the Grand Court of the Cayman Islands. If approved a new Swiss company, also called Garmin Ltd would replace the existing Cayman company as the ultimate public holding company of the Garmin group. Garmin joins a list of both offshore and onshore firms that are moving from the Cayman to the European zone at a time when government revenues from company incorporations are falling. According to the latest figures from the Economics andStatistics Office new company registrations declined by 39.2% in the third quarter of 2009. Dr. Min Kao, chairman and CEO of Garmin Ltd explain that the firm had determined that it was in its best interest to change the jurisdiction of incorporation of the group parent company. 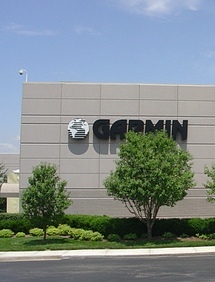 "Switzerland is centrally located in Europe in close proximity to our major Western and Eastern European markets," he said adding that Garmin’s footprint in Europe had grown considerably because of acquisitions in ten European countries during the last four years as well as the establishment of an office in Poland. “The Swiss office will provide a base for expansion of certain corporate functions in Europe and a more favourable structure from which it would be possible to acquire or partner with European businesses,” Kao said. “We believe that the change of our jurisdiction of incorporation will enhance our global business operations and reputation consistent with our status as an international company with significant operations in Asia, North America, as well as Europe. Switzerland also offers a well-developed corporate, legal and regulatory environment with an extensive network of tax treaties with other countries." Garmin does not expect that the redomestication will have any material impact on its financial results. Assuming completion of the redomestication, shares of the Swiss company would be listed on the NASDAQ Global Select Market under the symbol "GRMN", the same symbol under which Garmin shares are currently listed. The Swiss company would remain subject to the U.S. Securities and Exchange Commission ("SEC") reporting requirements, the mandates of the Sarbanes-Oxley Act and the applicable corporate governance rules of NASDAQ. In addition, the Swiss company would continue to report its consolidated financial results in U.S. dollars and under U.S. generally accepted accounting principles. The original parent company of the Garmin group was Garmin Corporation, a company incorporated in Taiwan. Under the legal framework of Taiwan at the time of Garmin’s initial public offering in 2000, it was not practical for Garmin Corporation to offer its shares in the United States. Therefore, Garmin Ltd. was formed in the Cayman Islands in July 2000 as a holding company for Garmin Corporation in order to facilitate the listing of its shares on the NASDAQ stock market in the United States. Cayman is just another rung on the upward global financial ladder for alot of these so call companies just like the economic pirates who come and lay up on these shores to make it BIG$$$. Well since they are going Bon Voyageeeee another one bites dust another bites dust another one is gone Cayman. Yes when they all pile out of here we will be left with a blacken & destroyed reputation high crime rate economy in tatters huge financial debts an environmental nightmares and pollution. It appears Cayman has not drown a single conclusions from the Rudolf Elmer Julius Baer bank Affair and its implications. These foreign nationals have an obligation to their countries of origin at the end of the day and not to the Tax haven called Cayman. These despicable and greedy politicians and their materialistic local & foreign minions would like us to believe differently. Yes Cayman we will return back to the title of where pirates use live and then we will be the place where time and money has forgotten us all. And does Switzerland have any direct taxes (that affect the rich also) or Ireland, london, New York BVI ??? Maybe Cayman’s reputation as a "Christian" society (which is obviously utrue) is not helping? Maybe the World is changing to one where fairness and justice for ALL is becoming more important than just appeasing the rich and powerful??? Maybe a jurisdiction where Human Rights are upheld as a way of life is really important…not like cayman where only what "christians" want is important??? What an absurd post. The move has to do with the threat of the U.S. going after companies incorporated in Cayman that have U.S. interests/shareholders. Siwtzerland, Luxembourg and Ireland all have double taxation treaties with the U.S. and therefore the same degree of threat does not exist. Bottom line the Cayman brand stinks worldwide. It may be a hangover from the greed of the 80s but still it stinks and won’t be getting any better . . .
"Extensive network of tax treaties" – wasn’t that what Mac said that Cayman did not need? "Enhance [Garmin’s] ….. reputation" – what’s the matter with them "Weez broke" not good enough? It is all very sad. Garmin has been based in Cayman for a long time and no doubt many other companies will look at Garmin’s move and do the same. You missed an important element out of the reasons for companies leaving. Some of our laws are totally out of date and need seriously revision. Competitors such as the BVI and the Chanel Islands are way ahead of us. When part of the Companies Law is based on the English Companies Act of 1862 you know something is wrong. Leaders in the Financial Community need take the bull by the horns before it is too late.We have been laid back for far too long. In any event do not expect a swift turnaround. Give us an example. Our companies legislation seems to function very well and is always closely monitored by the professionals for necessary revisions. lets just repeal all laws that have a historical basis! Well it has been 10 months since the elections but you know Mac will still blame PPM for this company leaving Cayman – poor fellow! I wonder if they will blame this on the rollover as well even though it is a holding company with no employees. Perhaps it is a ghost I know that works there. Garmin rented office space in Caymana Bay. The Garmin entity here in Grand Cayman may be leaving for reasons that have nothing to do with any Government fee or policy, I have no idea other than what they have stated which I can only take at face value. However, to correct the poster at 15:14, the company has at least two employees working out of offices in Camana Bay. They are longtime Garmin employees who moved here with their families and were active in the Rotary Club of Grand Cayman. We cannot keep saying that these firms leaving are not without employees and thus by extension do not count. If they have no employees but leave we lose the fee revenue to Government and commercial fees to professional firms. If they have employees, even one, the island suffers further erosion of the consumer base that supports so many businesses. Either way, we do not enjoy the visits by their board of directors or others who come here frequently for meetings, travel on our airline, stay at our hotels, eat in our restaurants, and go home thinking about how they can swing the purchase of a condo on Seven Mile Beach. Stop ‘blame’ and ‘fault’ and other rear view mirror comments so amply dispensed on these pages and work to fix the problem at hand with whatever skill or talent you can bring to bear personally or professionally. Mr. Johnson suggests an important area for consideration, supported by the legal fraternity quite forcefully during the opening of the Grand Court recently. "We cannot keep saying that these firms leaving are not without employees and thus by extension do not count". Nothing in my post stated or implied that as that is clearly not the case. My point was that most companies that move do so for reasons other than rollover although some would have us believe otherwise. My further point is that unless we address the real reasons and stop obsessing over rollover we will not be able to stem the flow. A comment like this shows how clueless some of the "bloggers" are. No, you are clueless as you given yourself the handle. The point is a valid one. everything is blamed on rollover. First, you made a false statement about the number of employees at Garmin. Based on this false statement, you mock those who are non-supportive of the rollover. You ignore the facts and you are the only person to bring up rollover in this instance. Perhaps you have a chip on your shoulder? Since YOU brought it up, perhaps you would like to enlighten Cayman of the actual (as opposed to promised) benefits of the rollover. The benefits of rollover are obvious and are the same as they were 7 years ago when the law was passed. The benefits of abolishing it at this stage are less clear. There is no need for me to enlighten "Cayman". If large numbers of people are allowed to gain permanent rights in the country particularly in the case of blue collar workers who, when they retire and cannot support themselves, this will lead unaffordable burdens on the govt. Further, it will lead to Caymanians becoming more marginalized in their own country and cause social unrest. The fact of the matter is that rollover is disingenuously brought up asa scapegoat for every problem – social, economic by those who hope to use the economic downturn as leverage for govt. to pander them. Unfortunately the gov. is quite naive about this. Actually if I was mistaken and there are two employees it really does not matter since rollover was not the reason for the move which is my point..
With all due respect, those are the projected, vs actual, benefits of the rollover. Do you have actual numbers and years? The same people who made those projected benefits somehow failed to project the actual financial deficit and current increases in crime and social divide that we are now suffering. As to why the employees left, I’m unsure. A lot of people say they have no intention of going through the rollover, pack up and leave. Typically these are the good ones, the ones who can afford to contribute to the system. In short, you will have to do better than that. You see, the rollover is nothing short of ethnic cleansing. Our "natural resource" is limited to the quality people we bring to these islands. Quality people typically don’t accept the concept of ethnic cleansing and this is one of the reasons why Cayman is having such a hard time marketing itself globally these days. The other is the cost of doing business. You seem to be confused. Years and numbers of what? Those are the plain, commonsense reasons for rollover. The onus is on you to demonstrate that they are not valid reasons which is impossible since they are valid. Don’t be ridiculous using completely inappropriate terms such as "ethnic cleansing". I am sure you are well aware that rollover would not achieve that even if that were the desired objective which clearly it is not. (1) Caymanians are themselves ethnically diverse (2)The rollover did not apply to civil servants and their spouses (3) trhough key employee status there was scope for expats to gain permanent residency (4) nothing to prevent expats and Caymanians from entering into bona fide marriages. There are many professionals who are largely unaffected by rollover. Many accountants for example do not come intending to stay longer than 7 years and in the case of international firms and companies they have the ability to rotate people to other jurisdictions for the break period. You are simply continuing to parrot the same nonsense we have heard for the past few years, and it does us the grave disservice of distracting from the real causes for the downturn in business. Well said! Further, Garmin employees in Cayman would have clear opportunities to be exempt from rollover anyway. Perhaps the companies with a domestic presence that leave do so because of internal pressures that are unfortunately lumped into "rollover" but Garmin, in my observation, are leaving due to external pressures that have nothing to do with internal policies. The point is not valid and is akin to those who blame everything on the status grants. I am not sure whether you are agreeing or disagreeing with me. What I believe you are saying is that blaming everythig on rollover is akin to blaming everything on the status grants – both are not valid. If so, we agree. Durrrr, you best go have a look at the Court Fees Rules, Part B, at the link below. The $5,000.00 fee is limited to a Rule 102 application, not a full-blown lawsuit which is caught by the phrase "…every other writ…" and fixed at $15,000.00. And Chris Johnson: I agree entirely about the need for new and modern legislation. I wonder if the senior people at the firms who usually handle that have simply given up? Maybe they are surfing the internet for real estate in Switzerland. Who knows? Err, Wind seems appropriate nome de plume given the value of your comment. The fees were subsequently reduced to CI$5,000 for all FSD Writs. That is still far to high a fee, but hey milk all those offshore companies until they go to Switzerland. How much does it cost to issue a Writ there? Well there you go. I stand corrected… $5,000.00 it is. It still appears a ridiculously high amount. Warren, I turn over my "Wind" to you (and break it in your general direction), and I lay down my King. You win. The problem with enacting new companies legislation is the vested interests of certain local professionals who have little interest in matters of public interest. I largely refer to the total lack of regulation concerning the activities of local directors. If you examine the numerous law suits being taken out you will note the complicity of directors. Unlike competing jurisdictions directors still remain indemnified by Cayman companies. In addition there are no Directors Disquaification laws. As most Cayman directors supplied to the offshore industry are provided by the major players in the business you will not see them advocating improvements in our laws to protect the public. A fine example of this is the famous local ‘oil fund’ that went into liquidation two years ago.That scenario had more red flags that found at the annual meeting of matadors in Madrid.Just why not were those responsible pursued? As frequently happens in Cayman such matters are found under the rug. As this particular matter is one of public interest the Government needs to wake up, be pro-active and enact legislation protecting the public, both here in Cayman and overseas. No wonder the European countries and the USA are calling for better regulation ofhedge funds. The comment at 10.42 is spot on. Alos factor in the additional legal costs to clients of exorbitant work permits (which don’t protect any Caymanian jobs because all competent Caymanian attorneys are employed) and the horrific restrictions on recruiting junior attorneys (this adds significantly to the costs of work and the quality of service Cayman firms can offer). The accountants can hire junior people, why can’t the lawyers? you’ve got the question back to front (if what you say is correct). You should be asking why junior accountants are permitted, when junior lawyers (rightfully) are not. As a client I would prefer quality over nationality when it comes to my attorneys. All competent Cayman attorneys may be employed, but as what? I know several who want to be lawyers in law firms but unscrupulous lawyers (there are some you know), mainly expats, but also a couple of crab in bucket Caymanians, forced them out. Immigration did nothing. The politicians did nothing. The pressure is building. I wonder, is committing a fraud on a branch of Government grounds for being disbarred? It’s not the movement of this company that causes the concern. One company will not make or break the Island’s economy. It is the fact that the flow of business as a whole has turned away from the Island. A decrease of 39.2% in the third quarter of 2009 is staggering. Seeing one after another international business leave the jurisdiction demonstrates that Cayman has "lost" the international business community generally. I have to say that the international business community are like cows: they follow one another without really worrying about why. If everyone is basing their investment/hedge funds in Cayman, then then next person who wants to set one up will probably come to Cayman as well, thinking "Of course I’ll use Cayman. Everybody uses Cayman". Of course if you strike out Cayman and insert Switzerland or Ireland, the same mentality will apply: "Of course I’ll use Switzerland. Everybody uses Switzerland these days. I’m not sure what went wrong in Cayman, but I see that everyone is leaving so I’d better follow them". Consider the why of the issue: poor service, very (stupidly) high costs to maintain corporations, very (stupidly) high costs to litigate disputes here (a $15,000.00+ filing fee just to start a lawsuit??? ), the loss of the image as a financially stable jurisdiction, the public demonstration that the elected officials are wholly ineffective at running a territory (my kid manages her allowance better than Cayman manages its territirial budget), and so on and so on. Soon there will be a post about "Who cares, it’s only one company and one corporate registry fee". Don’t focus on the single leaf floating toward you in the water. Watch the tsunami carrying the leaf instead.